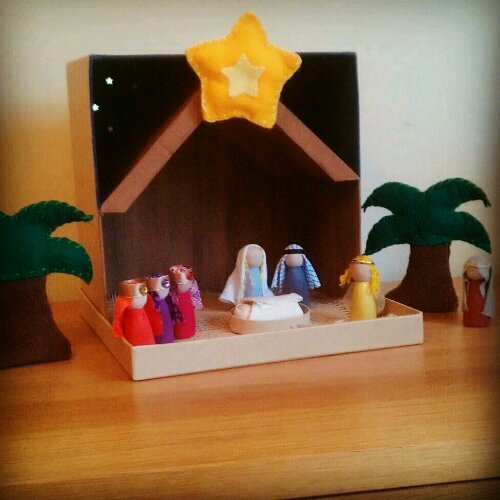 I love nativity scenes and I love making things so it made perfect sense to create my own set which the children could play with and act out the story of the first Christmas. I actually made this a couple of months ago and have since made three more sets for other people. I figured I should really blog about it before Christmas is over for another year. 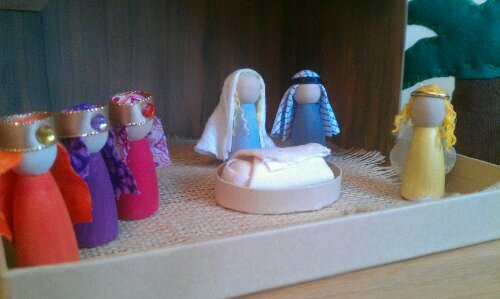 Each figure is made with a wooden peg doll. The palm trees are filled with rice at the bottom so that they stand alone. 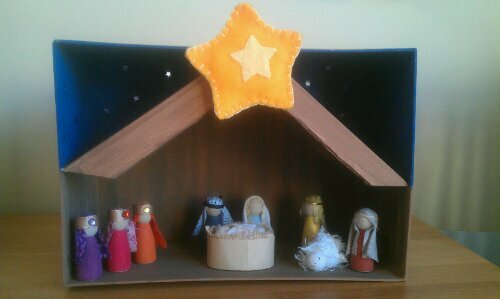 The stable is also a box which all items can be stored in and the star at the top is attached with Velcro. I wanted everything to be moveable so that it could be probably played with. 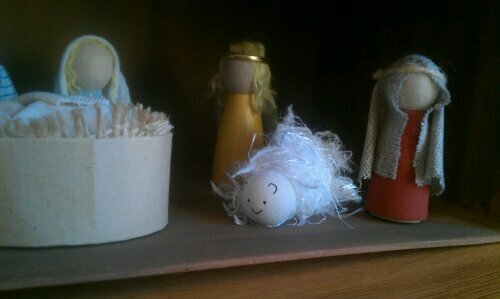 This is the set I made for my mum complete with a woolly sheep!